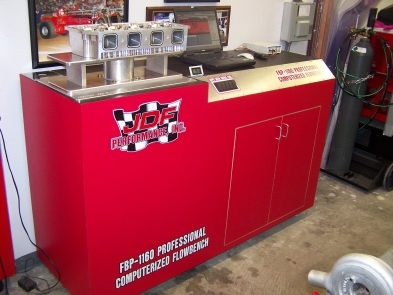 The Flow Performance FE2.5 flow element has become a popular choice of performance engine builders for building a flow bench capable of flowing 600 cfm. The FE2.5 flow element cannot be effectively located directly under the FR4 bench receptacle as with the FE2.0, so it must be located remotely. 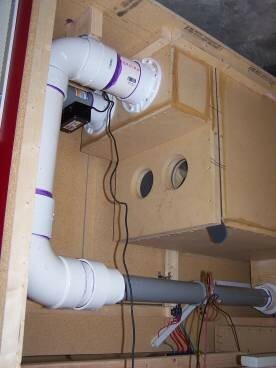 It is recommended that 4" pipe be used to connect the FE2.5 to the FR4 bench receptacle and that there be as few bends between the flow element and FR4 as possible. From the FE2.5 to air source is less critical and pipe size and bends only reduce air source efficiency. Use long sweeps (found in the drainage pipe section) where ever possible, do not use elbows or L's. 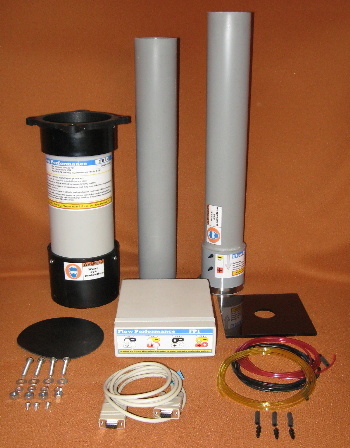 You will need to purchase and assemble plastic pipe, fittings and bushing's to suit your design. These systems require higher levels of skill and a basic understanding of flow bench fundamentals is recommended. Remote location of the FE2.5 flow element gives enough room for the extra length needed for insured accuracy and repeatability. 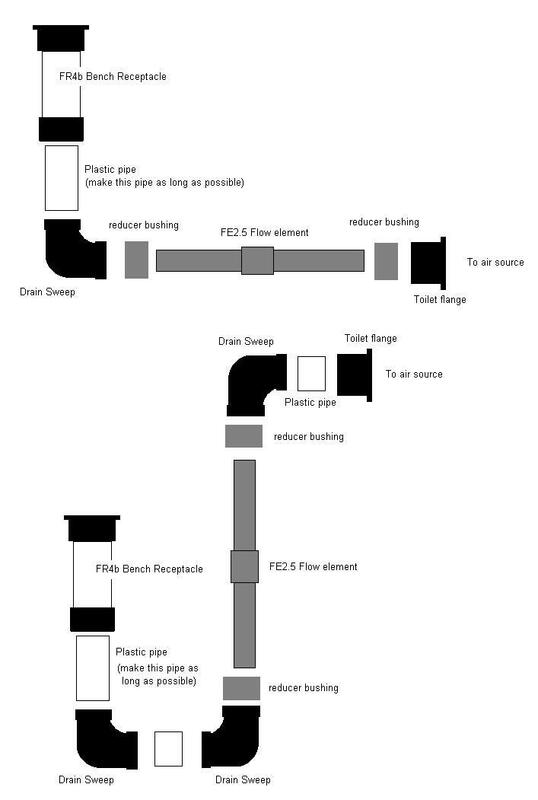 Use of 4" plasic pipe will help maintain air source efficiency. Connecting 2.5" pipe to other size pipe can be a bit more difficult than other standard sized pipe. There are two basic adaptors for plastic pipes: reducer bushing's and reducer couplers. 2.5" fittings are harder to find than 3" and 4", but they can be found at www.mcmaster.com, www.grainger.com, at some home centers, plumbing supply or electrical supply houses. The best transitions for 2.5" pipe to 3" or 4" can usually be done with bushings's. These are the preferred layouts in that there are minimal bends between FR4 and flow element. It is important to make the pipe from the FR4, or settling chamber, as long as possible before making a bend as shown in the designs above and below. That is why the flow elements are located under the air source. A 3/4" thick bench surface with a 4.5" hole. This is probably the best way to make a smooth transition between 2.5" pipe and 4" pipe. A 3x2.5 bushing inserted into a 4x3 bushing, then gluing in a stop piece of 2.5" pipe into the 3x2.5 bushing will allow you to form a smooth radius on the entire assembly. 2 of these will be required. Many 4x2.5 bushings are not suitable for a smooth transition between 2.5" pipe and 4" pipe, as you can see from the example to the left. Reducing couplers are another choice, but will take up more space with their length.